Climate Masters, Inc. 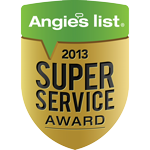 Heating and Cooling is proud to serve the Chesterfield community! 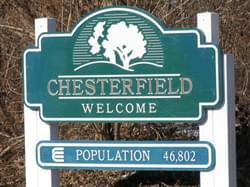 Chesterfield is located in St. Louis County, Missouri, and according to the 2010 census the population was 47,484.This population makes it the 14th largest city in the state, and it was founded in 1988. Chesterfield consists of a variety of smaller historical communities, some of which consist of Gumbo, Bellefontaine, Lake, Monarch, and Bonhomme. Chesterfield is part of a transitional zone between the humid subtropical climate and the humid continental climate, and it is known for having four distinctive seasons. Chesterfield is home to a variety of attractions that may be of interest to residents and visitors. The Butterfly House as part of the Missouri Botanical Garden is located in Chesterfield, and other attractions include the Wehrenberg Theatres and the Kemp Auto Museum. Additionally, Faust Park and the Chesterfield Sports Fusion are also located in this city.